Google Play Games is an Android app that brings a lot of features when it comes to gaming. These features range from built-in games, gamer profile where you earn XP and level up as you play games, track achievements and view how you stack up against other players on the leaderboard. A handy feature is also the ability to save your game progress enabling you to continue from where you left off from any device. It saves you the trouble of having to start a game afresh. The app supports most of the Android versions and does not require root privileges at all to work. Away from all that, this article is focusing mainly on the screen recording feature that comes with Google Play Games. As you play your game, you may want to showcase gameplay or even show walkthroughs to other players. This app will enable you to record the gameplay in a very simple and intuitive way. This app comes with many features that make it join the list of screen recorders as we will find out in this review article. These features are brought to you free of charge so not costs at all. Let us now look at the features that Google Play Games boasts of. 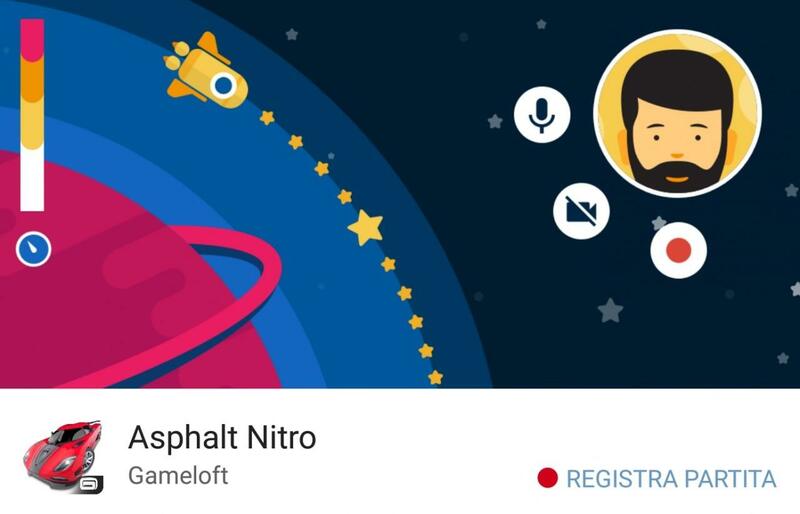 Open app – Launch the Google Play Games app from your app list. Install the app free on the Play Store just in case you do not have it installed on your device. Select game to play – Basically here you just have to launch the game that you need to take footage of. Record – Once the game is running, just press the record button to get started with the screen capture. Boom! With that, you will be in the process of recording the screen. You can stop at any moment once you are satisfied with what you needed to capture. Quality of recorded video is very important to make sure the viewer is able to see what is happening in the video without struggling to make out details. This app gives you an option of recording in either 480p or 720p which are good and optimum qualities for a video. 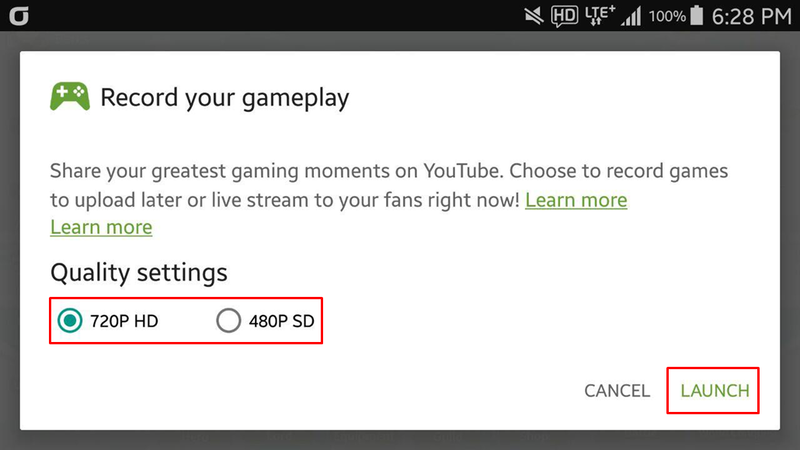 You can adjust the resolution depending on your device specs to avoid lags making the final video smooth and stable. Better yet, based on the available storage space, this Android app will be able to advise you on the maximum length of video that can be recorded. A countdown of 3 seconds is also available to make sure you are ready enough before the recording actually starts. Personalization is a handy feature when recording the screen. This app lets you include footage from the front-facing camera alias selfie as an overlay on the main content on the screen. By recording yourself, you will be able to show reactions and expressions to the viewer. The viewer will also be able to actually see who made the video. The narration feature empowers you with the option to include audio as you talk. To achieve this, everything that you narrate is captured by the microphone. You will be able to explain what you are doing to the viewer, capture your own verbal reactions or even capture external audio that you feel blends with what you are recording. The ability to add narrations makes This app a powerful screen recorder for the Android platform. After you are done recording, Google Play Games saves the video in the gallery at the click of Stop button. You can review the video by playing it with your default video player app. In the instance you need to edit before sharing, YouTube provides some quick editing tools to make sure the video is enhanced and better before sharing to the target audience. You will not get a fully-fledged editor but the available editing features will get you to a shareable video. Once you have edited to satisfaction, the next and final thing is to share the video with the intended viewers by uploading. This app will always upload the video first on YouTube after which you can share the generated link to whichever platform you prefer. A shareable link is much better and convenient as you just need to perform a simple copy and paste procedure to have the video easily reach your audience. 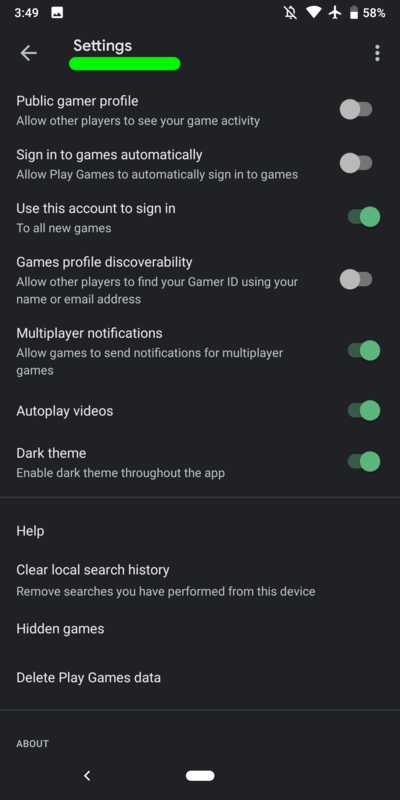 Dark mode is a feature that has been sort after by app users since normally most apps come with a white theme by default with no option for a dark theme. Fortunately, with the latest update, This app now has a dark theme option. You just have to flip a switch in the settings and dark mode will kick in instantly. From there you can use the app easily in the dark without hurting your eyes and more save on the battery. Google Play Games is definitely a good screen recorder for Android especially when it comes to the playing of games. This review has been able to touch on the main features that make an app be termed as a screen recorder. The app is absolutely free and gets updated regularly so you can be sure of a polished app at the end of the day. 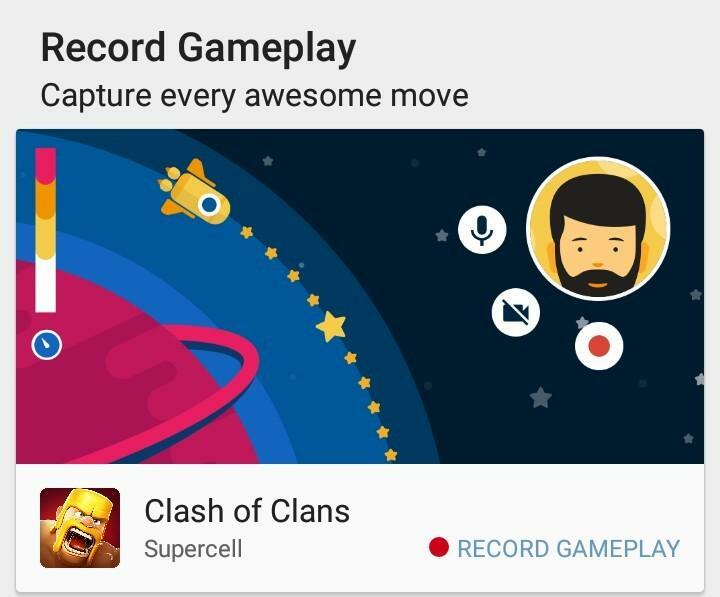 You may not have given a try to the screen recording feature on Google Play Games app but now you have a know of what it has to offer.